For those of you interested in taking diatomaceous earth to help promote a healthier life, we have a collection of recipes for healthy ways to take your DE. A truly perfect way to start your day, this smoothie combines nutrient rich green vegetables along with some added energy and DE. This combination means you will be starting your day off right and helping promote a healthier colon. Add pear/apple and cucumber to a blender. Set the blender to medium and add kale and diatomaceous earth. Heat the honey in the microwave for about 15 seconds and mix into smoothie. If the drink is too thick, add apple juice and water to loosen it up. For those of you interested in taking diatomaceous earth to help promote a healthier life, we have a collection of recipes for healthy ways to take your DE. This recipe comes from o Danielle Baethge from It's a Love/Love Thing. Combining the flavors of southeast Asia, this delicious drink is sweet, smooth, tropical, and citrusy. 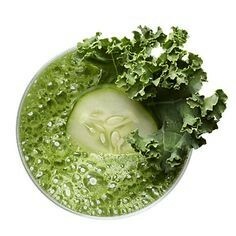 It starts off as a healthy and refreshing drink, but the added DE provides another level of health promotion. Heat the honey in the microwave for about 15 seconds. 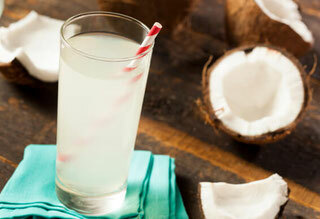 Add honey, coconut water, and diatomaceous earth to a glass or cocktail shaker. Stir until the honey dissolves. Squeeze the lime into the mixture and add pink himalayan salt if desired. Stir again and enjoy. No matter what you are looking into for improving your health, it's important that there are safe and natural options like diatomaceous earth. DE can be used to help promote healthy skin as an exfoliator that is able to remove microscopic deposits of dirt, oils, and dead skin cells. See the instructions below for how to use DE to promote healthier and clearer skin. For a mask: use your fingers to smear the mixture over your forehead, nose, chin, and cheeks. 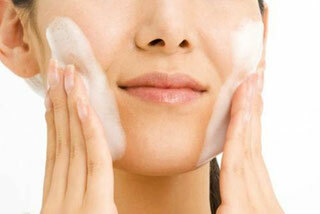 For a facial scrub: use your fingers to gently scrub the mixture on your forehead, nose, chin, and cheeks. Avoid your eyes and mouth to prevent irritation. Leave the mixture on your face for 2-5 minutes, allowing it to dry. Wash the dried mixture off your face using water and a cloth, be thorough. Avoid your eyes and mouth to prevent irritation. Note: You can add Coconut oil or essential oils like lavender for added benefit. You could also add DE to your current exfoliation products.